All with optional external gas supply support. 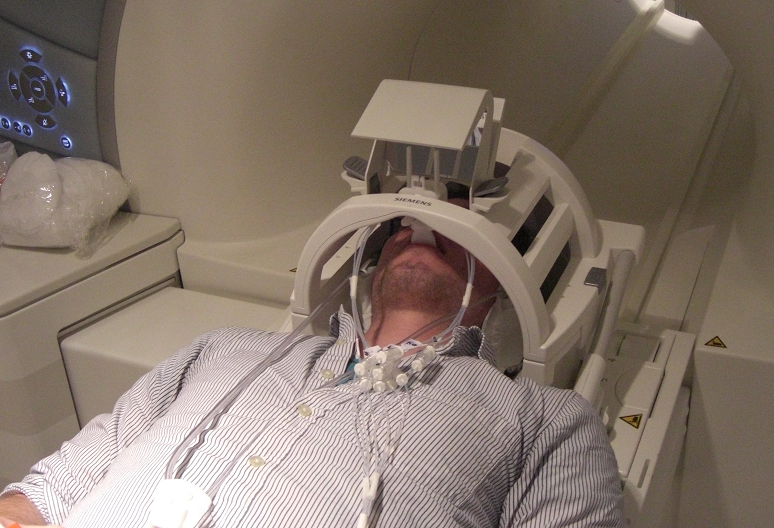 The ETT Gustatometer for controlled and reliable gustatory stimulation during fMRI, EEG as well as any other studies. Get in contact with us to receive an offer with a tailored solution to your problem. 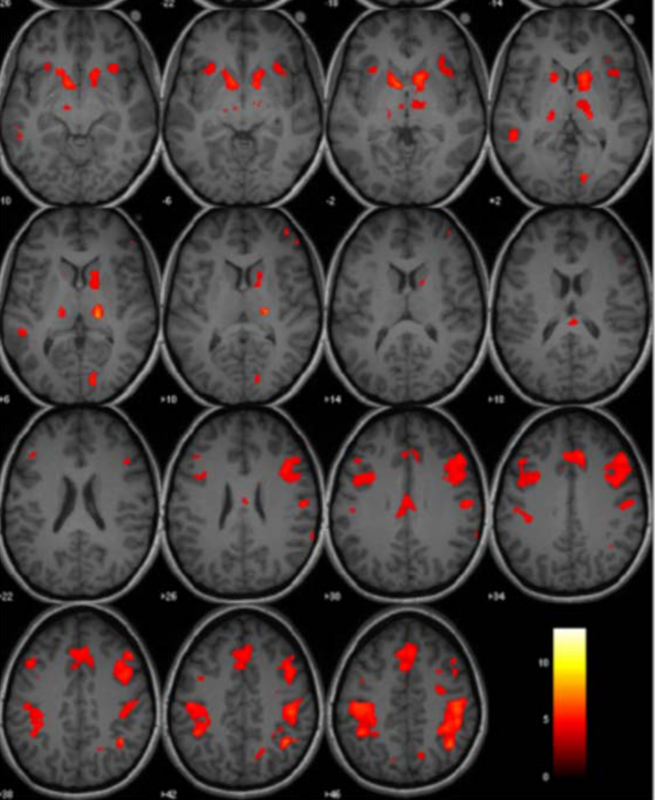 The 7+1 channel gustatory stimulator, as always, specifically designed for fMRI studies. 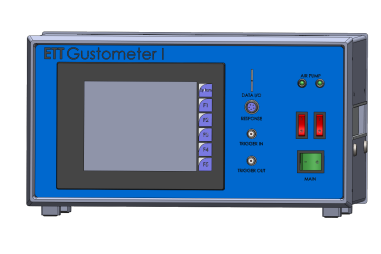 More information available in the ETT Gustometer product specifications. On the front panel an easy-to-use 5 in touch screen allows quick paradigm programming. Next to this a set of interfaces allow the use of triggers and external sensors. The SD-memory card stores all important data at any time. The rear panel offers easy access to luer ports. Each of the 8 channels has an input and output connector. The gustometer mouthpiece/applicator is designed to specifically meet the needs of fMRI studies. It attaches to most head coils and keeps a low signature inside the subjects mouth. Drops form individually from each line with a maximal radius of 4 mm. It is adjustable along Y- and Z-axis and can be angled relative to the XY-plane. 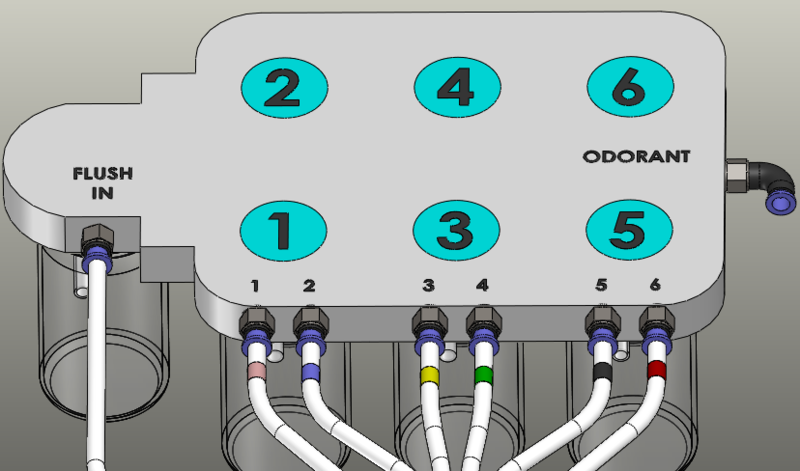 Our 6 channel odorant delivery system with easy-to-use, interactive touch screen control. 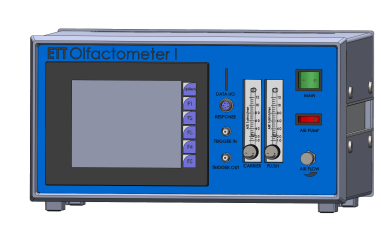 More information available in the ETT Olfactometer product specifications. 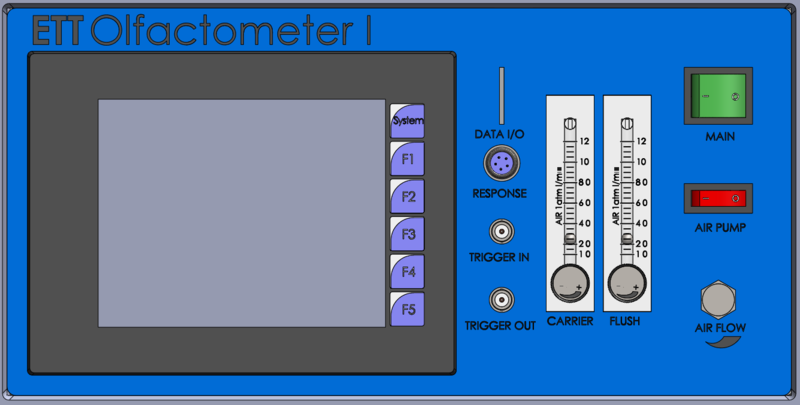 The control panel for the Olfactometer, featuring an integrated touch-screen computer for complete control and reproducible experiments. The MR-compatible ETT Olfactometer Carrier. Only Teflon and Glass are used to prevent contamination. ETT's odorant delivery mechanism, including custom tubing and non-contact nasal delivery system. Test subject feedback touch-sensitive device, MRI safe. MRI compatible respiratory monitoring belt allowing for the precise synchronization of odorant delivery with subject's inhalation. Our device has been used in over 50 publications already. 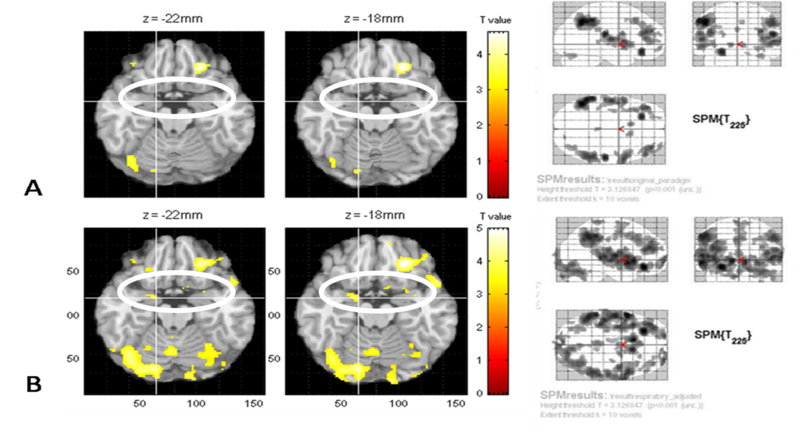 Activation maps utilizing the ETT Olfactometer are showing significant olfactory activation during stimulus delivery time.